They say I bathe in blood, the fools; they do not ask about the bones. Embraced by arms of light from the Süleyman's East, translucent white, I entreat the clouds and the Lord of Cats. And when the lynx of darkling hills presses away day's warmth, I then beseech the Trinity, whose music, floating and certain, haunts the village. It is Ilona's voice. I would devour it. I wish to slip inside the glove of her body, singing my prayers to the night and the morning and the day of change and documents and distant, ugly death. Erzsébet, countess, signing and sealing in four languages while the sun courses over Castle Cséjthe, I am mother. I am lover. And wife to an absent warrior. The seasons on this searching mountain, the stays in Sárvár, Beckov and Keresztur, the days even in Vienna, are seldom punctuated by the discoveries of childhood, in the stead of which is the detritus of war. Now, surrounded by drools, I husband my knowledge for the nights, when moon and cloud and febrile blood shall mingle. It is not forbidden, a living, dying cloak, I do not believe, so I call for her, and in honor and obedience, she arrives, a plain shell I have seen, but a geode unlike the others. Ilona, who in the village sings of the Trinity, Ilona, of no moment but melody, Ilona. I am clean for her, pale white softened, and rounded moreso by the nightcat's torches. A bath awaits me when I have tasted her voice. Then shall I sing beyond the documents, chant beyond death, blowing clean a path for the children of my flesh. Her voice is shy, rural but neither coarse, speaking not with throat of angels. There is peasantry, and I can taste its dung-smell. Hunger for the song grows behind my eyes. She reddens, eyes shunning my parted mouth, a blackness against my pale lucence. She feels me silently striving to inhale her music, I know it. Metal reflects the torches, whiteness, and trembling. The kept nightingale sings dropping notes, Ilona. Deference, obeisance, it is not the human psalter of Trinity. I cannot draw it, I whiten, she darkens, Ilona. Sing to me, sing to me, to me sing. The puncture gives no pleasure. Aside from its exhalation of warmth, the blood sickens me. Stains ornament, then soak, the gentle folds of my garment. Another will fail to bring it clean tomorrow, again. It drops. I am wet, streaked, straining to be within her. To be Ilona singing. This is not the voice, Ilona, though I am fitting your soulless, crimson cloak around my whiteness. To wear it is not forbidden, I do not believe, but perhaps the cracked tablets of the prophet commanded more before they shattered. Did they, Ilona, as you now? I bathe again. A bridled falcon shifts on its perch. Tomorrow, when the Lord of Cats sleeps, still I will not sing. And they will not ask. 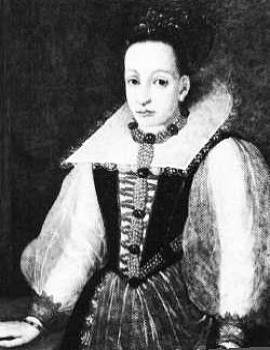 Countess Erzsébet Báthory died in 1614, accused of the death of hundreds of women, including Ilona Harczy, soprano in the village church. Báthory gave birth to a vampire legend.